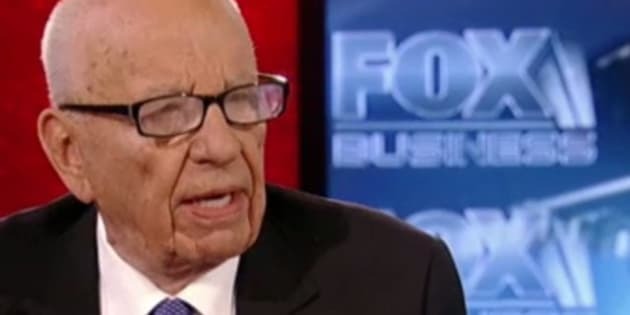 Rupert Murdoch’s Fox News has given the Keystone XL pipeline some of its most positive coverage, but Murdoch himself doesn’t appear to be a fan of the project. The comment about “ridiculous windmills” likely won’t win Murdoch any friends on the political left, where opposition to Keystone has been concentrated, but his reference to Alberta oil sands product as “heavy, dirty oil” is probably the last thing Keystone proponents wanted to hear. Murdoch’s comments point to a new kind of opposition to the Keystone pipeline, one that comes not so much from concern about the environmental impact as from a realization, or at least belief, that the U.S. may simply not need Canadian oil. As The Huffington Post Canada has reported before, there is an argument to be made that the U.S. simply won’t need Canadian oil in the coming years and decades. The sudden explosion of shale gas exploration, particularly in North Dakota’s Bakken field, has rapidly changed projection for global oil and gas production, so much so that the International Energy Agency projected last fall that the U.S. would become a net exporter of gas by 2020 and would become essentially energy independent by 2035. Murdoch’s comments came ahead of a large protest against the Keystone XL pipeline, held in Washington, D.C., on Feb. 17, in which an estimated 40,000 people marched. Murdoch’s take on the controversy suggests that even traditional backers of the pipeline may be starting to see the project as more political trouble than it’s worth. So far, conservative voices in the U.S. have strongly supported Keystone XL as a way of helping the U.S. become more independent of oil from countries they view negatively, such as Venezuela. But Canadian energy companies may want the pipeline either way. As many observers have suggested, the pipeline will do more than bring Canadian oil to U.S. markets; it will also give Canadian oil greater access to booming Asian energy markets, by way of ports on the Gulf Coast. The Associated Press reported on Sunday that the southern leg of the Keystone pipeline, which runs from Cushing, Okla., to the Gulf Coast is already half-finished. The northern leg — which would bring oil from Alberta to the terminal at Cushing — is still awaiting approval from the Obama administration.